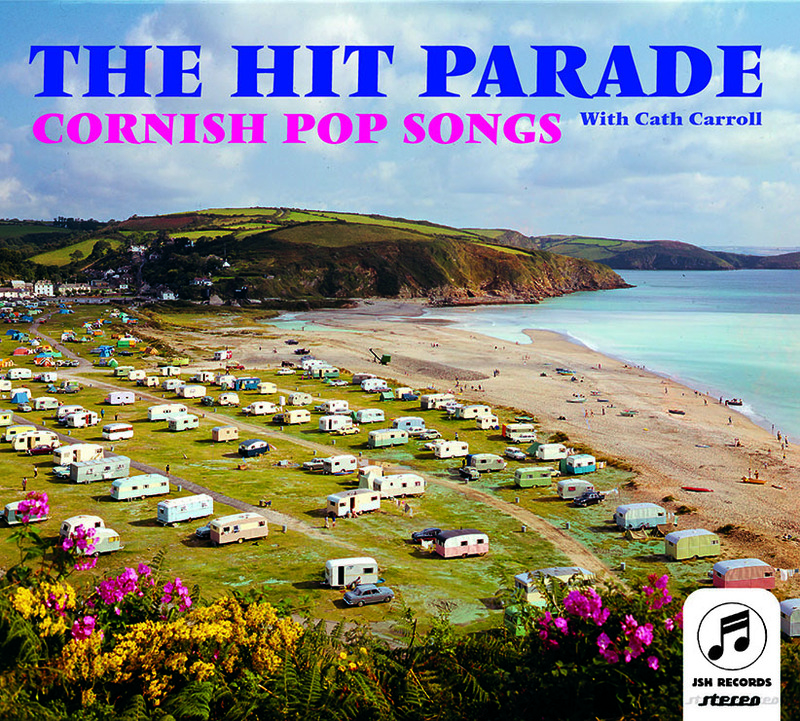 In 2014, celebrated indie-poppers The Hit Parade released their seventh album Cornish Pop Songs, twelve barnstorming tunes inspired by the seagulls and the mackerel fishermen of Cornwall. The album features the single (recorded with St Etienne engineer Ian Catt) There’s Something About Mary – ‘A bone fide smash’ Drowned In Sound – and rocking Cornish-flavoured tunes including Rainy Day In Newlyn, Paddington To Penzance and From Here To Lands End, with songstress Cath Carroll joining the band to sing on three tracks. The Hit Parade is the creation of pop art constructivist Julian Henry. Several of the band’s most recent records including Queen Of Mousehole and Born In St Ives have been set in Cornwall and have raised funds for the Fisherman’s Mission Newlyn and the Porthmeor Art Studios, St Ives. “I’m sick of people glamorising cities like New York and Paris”, says Henry. “Cornwall is as far away from London as it’s possible to get, and that’s why I love it”. Henry formed The Hit Parade in 1984 with his school friends Matt Moffatt and Raymond Watts. They released their first single Forever the same year, and since then they’ve clung to the sensibilities of pure pop and have become a curiosity item with their retro attitudes and songs about dead writers, disused swimming pools and failed love affairs. Their early vinyl singles were lauded by John Peel, the NME and Melody Maker, the now defunct weekly paper that published Henry’s writing. In the 1990s the band toured alongside Edwyn Collins, The Milkshakes and Sarah Records notables, and signed to Japanese and US labels, releasing a sequence of albums that have since become collectible. Today the Hit Parade has a dedicated fan base that stretches from the Far East (where they have toured several times) and across Europe to the west coast of America.